Because the Apple Watch is mostly tethered to the iPhone, most tasks for managing the device are done through the dedicated Watch app on iOS. Music on Apple Watch is no different — you'll manage the songs loaded directly onto the watch from there. Why would you want to do this? Loading songs onto the Apple Watch means you can play music to a pair of connected Bluetooth headphones, like Apple's AirPods, without having your iPhone nearby. This is especially useful with the Apple Watch Series 2 and Series 3 models, both of which feature GPS connectivity for tracking outdoor activities without a connected iPhone. 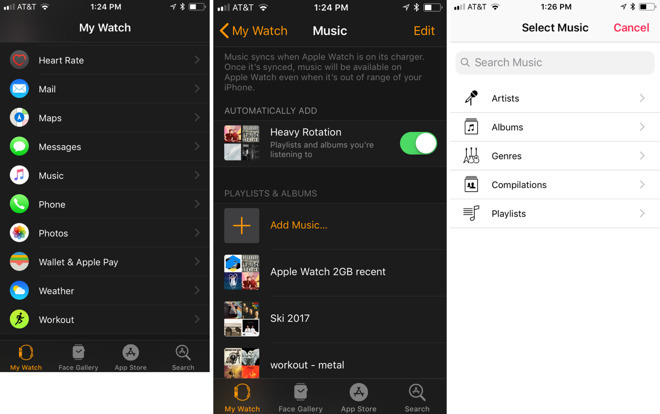 Loading music onto the Apple Watch is especially crucial, since Apple removed the ability to browse an iPhone's music library via the device. And even if you have an LTE-capable Series 3 model, it won't be able to stream Apple Music until watchOS 4.1 launches later this month. 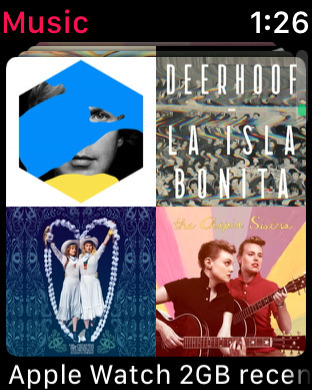 After you open the Watch app, choose Music, and you'll be able to enable a feature called Heavy Rotation. This features both playlists and albums that the user frequently enjoys on their iPhone. watchOS 4.1 brings changes to the Music app, but the syncing process is the same as 4.0. Beyond that, there is an Add Music that lets users select playlists and albums of their choosing. It should be noted that all Apple Watch models feature 8 gigabytes of storage except for the LTE-connected Series 3 model, which doubles that to 16 gigabytes. 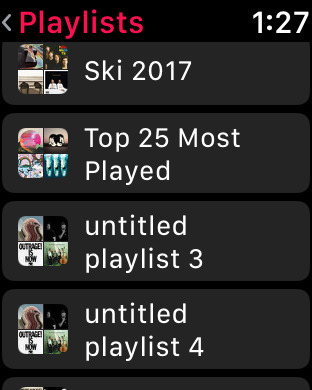 You cannot, in the current state of watchOS, fill up your watch to the brim, however, as Apple caps the amount of music to be synced. In watchOS 3, Apple gave users a choice of up to 2 gigabytes of music, or 250 total songs. 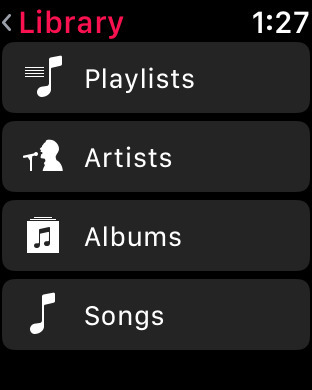 With watchOS 4, that option has mysteriously disappeared, and it's unclear how the system decides how much music is allowed to be synced to the watch. Finally, music does not instantly sync to the Apple Watch —the device must be placed on its charger to begin the transfer process, ensuring the battery is not drained from moving files.